Free Printable Lego Batman Coloring Page. Free Printable Lego Batman Coloring Page to have fun with your kids at home. Share this free printable coloring page of Batman the superhero at your birthday party, school or home. Great activity to color your favorite Lego Movie character Batman. Your kids can spend some time coloring the Lego minifigure Batman with favorite colors and display when finished. This Lego coloring page can be also used as a template to cut out for a beautiful Lego party decoration, activity or craft project. 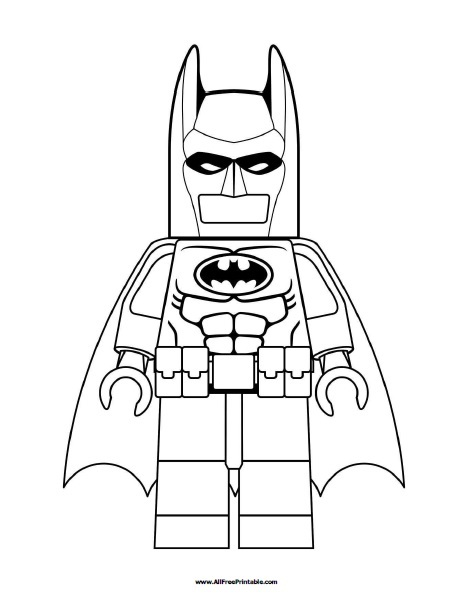 Print this Lego Batman Coloring Page free in PDF format. Have fun at your Lego Movie Party!